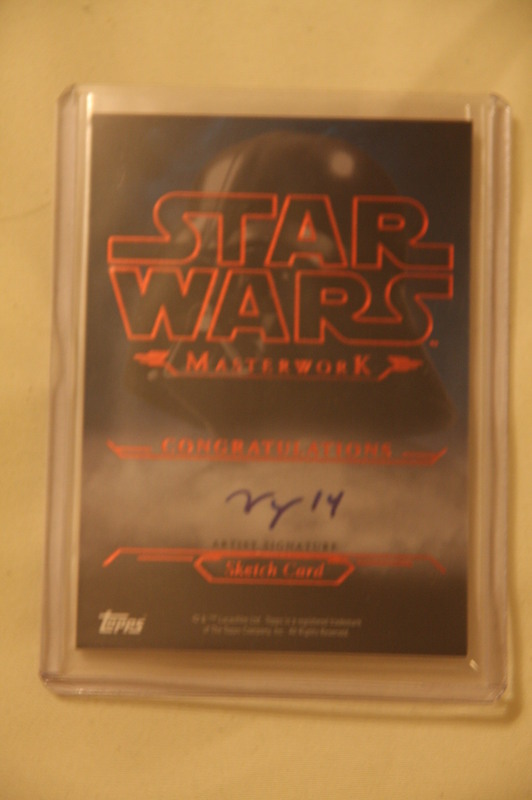 As mentioned last week, Star Wars Masterwork is Topps first high-end Star Wars product. Most sketch cards are on 72 pt card stock, but each artist had up to five gold foil cards and five cards on wood. 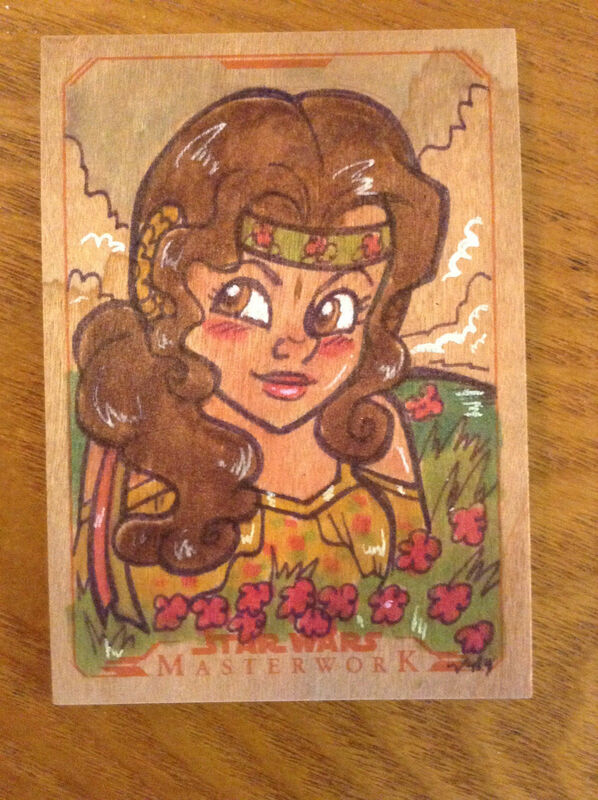 This sketch of Senator Padmé Amidala in the dress she wore for the picnic she and Anakin Skywalker had on Naboo is just one of three wood sketch cards that Mary Bellamy created. I purchased this card on eBay last week with a best offer of $200.